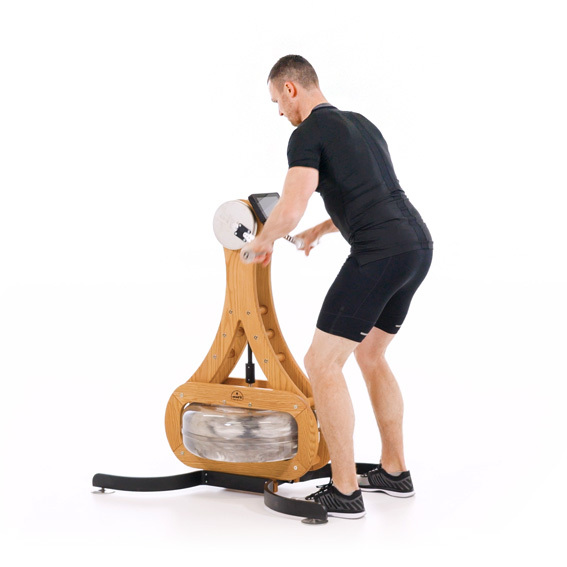 Stationary bicycles, cross- and eliptical trainers and treadmills are all highly effective machines, however they mainly condition the cardiovascular system via the lower extremities. 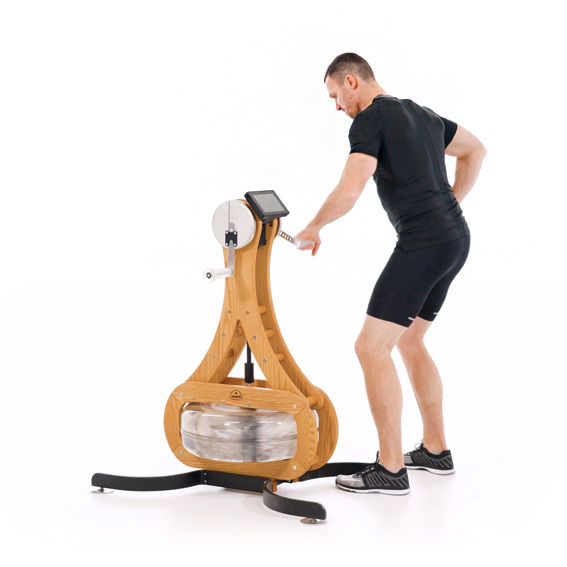 Further, all cardio training has a muscular, body-toning component, resulting in a clear upper body fitness deficit. 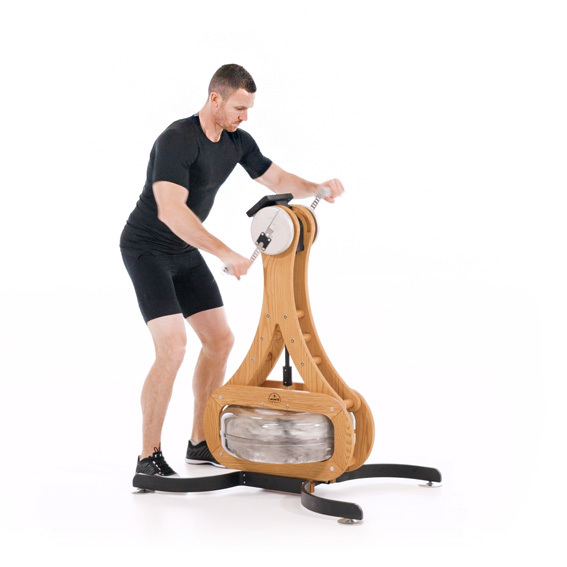 The NOHrD WaterGrinder can counterbalance this problem, as it works to condition your entire upper body- arms, shoulders, chest and abs, as well as your entire back musculature. 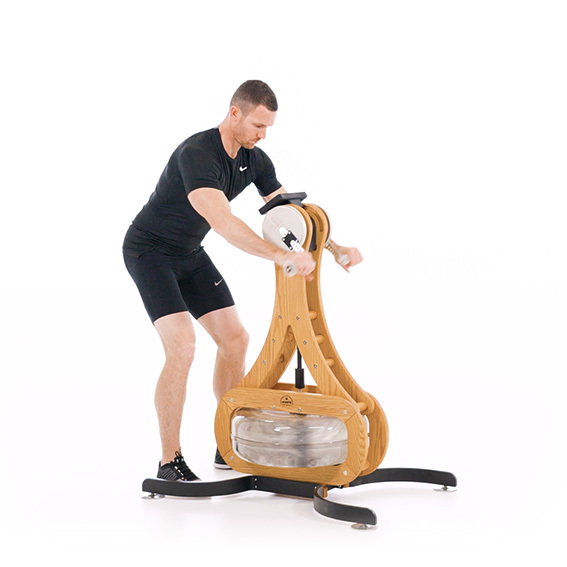 The upper body joints and spine will receive the exact necessary stress and motion impulses, crucial to mobility. 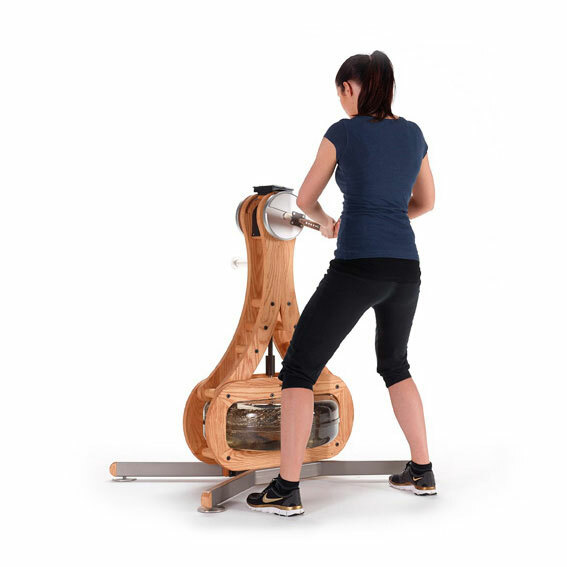 Our legs are designed to endure long-term stress, rendering them slow to be effectively stimulated during exercise. The arms, however, are made for shorter actions. 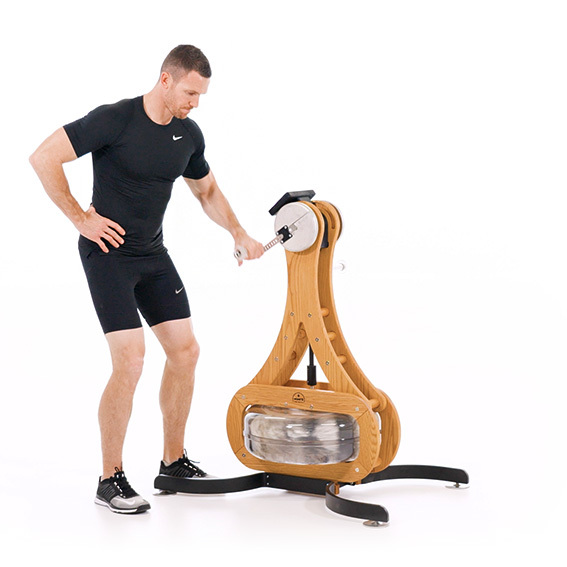 The WaterGrinder provides fast muscle fatigue through shorter, extremely effective training sessions. 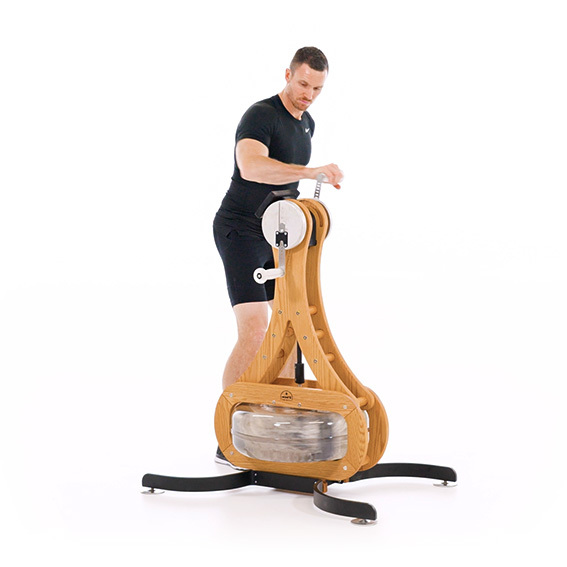 The WaterGrinder trains strength and endurance simultaneously. 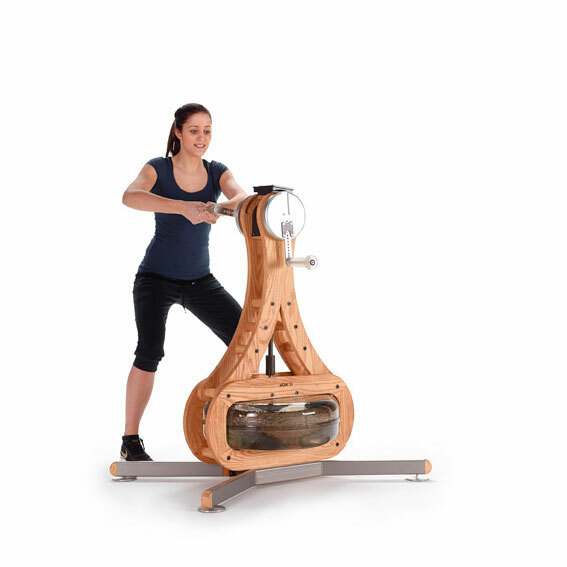 When exercising at the WaterGrinder the upper body is in an upright position, with the entire core muscles actively engaged. 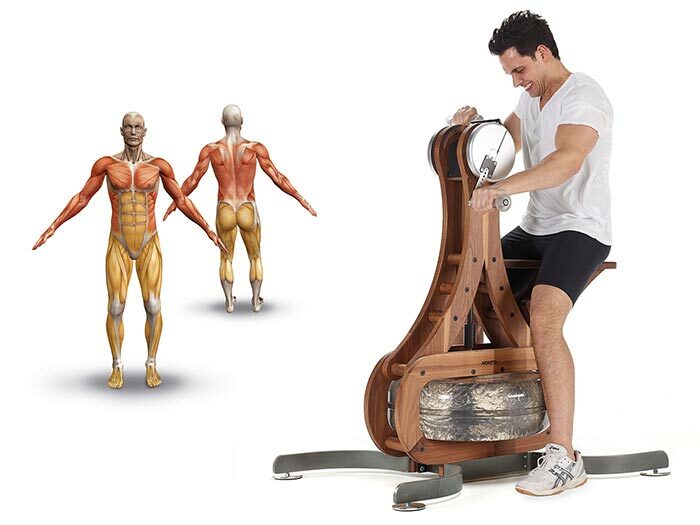 The workout will directly affect the supporting musculature, necessary for muscle building.